GHRP-6 is a peptide called into existence to stimulate the effect of natural body’s growth hormone. Myostatin is a hormone that limits muscle growth. Scientists have found a peptide that can block the action of myostatin thereby allowing the athletes to actively gain muscles. 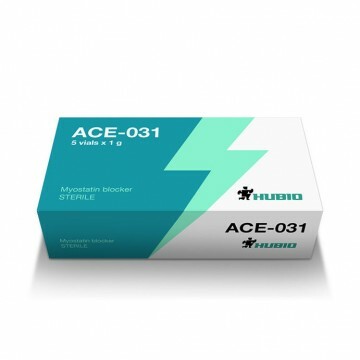 The name of this peptide is ACE-031. In addition to the blocking action, the peptide does not cause side effects, indicating the security of its application. no side effects. The peptide is absolutely safe, when administered at dosages that do not exceed the norm, ACE-031 does not have any side effects. Very rarely there may be headaches and discomfort at the injection site. To achieve the maximum effect of the peptide during use you should follow the instructions. Peptide is produced in the form of powder for injection. 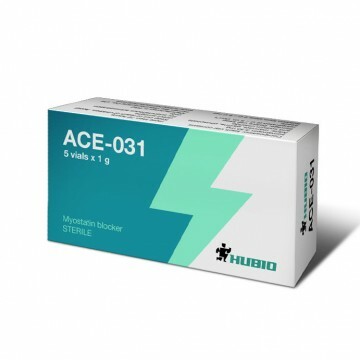 ACE-031 should be administered once a day and it can be done both morning and evening. Dosage is calculated as follows: 1-3 micrograms per kilogram of body weight of the athlete. Average dose is 100 micrograms a day. The injection is performed in body fat in the abdomen or in the muscles. The optimum duration of the course is 10 days followed by a break. If necessary after the break, repeat the course again. Keep the substance in a refrigerator. According to the athletes who used ACE-031 for the course duration of 10 days the muscle mass gains is on average five kilograms. At this point many athletes mark not only increase in muscle mass but also reduction of subcutaneous fat.